Arm your AEG with the PTS Centurion Arms C4 Rail System and Compatible with M4/M16 series AEGs. This 2-piece set provides multi-slotted 20mm quad rails for equipping as many tactical accessories to your liking. The RIS (rail interface system) is a catch all term referring to the accessory attachment rails along the body of a gun. 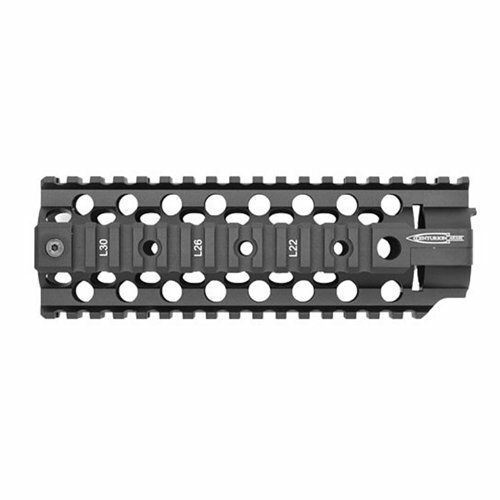 There are several different rail designs, such as weaver, picatinny, dovetail, keymod, M-LOK, and NATO.